Over many years, the inimitable SoundLift has taken his listeners through cinematic journeys across the world with his unmatched style of orchestral uplifting trance. This newest such journey is the best one yet. The Last Goodbye takes the listener from Atlantic islands to ancient cities, and from there to towering mountains, from Balearic serenity to driving and pounding basslines, in what constitutes SoundLift’s last-even trance release. To start the journey, imagine yourself in the small Macaronesian archipelago in the North Atlantic, roughly midway between Madeira and the Canary Islands. This track—Savage Islands —expresses the warm sun and sea with lush atmospheric pads and the Balearic sounds of the flamenco guitar, giving you a truly summer feeling. The track keeps building up with beautiful vocals and chillin' vibes. A perfect way to relax on the beach, enjoying the sunset of another summer day. 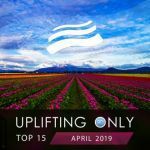 SoundLift teams up with Shelley Harland to bring us Tears—a smooth progressive vocal trance track with Balearic influences—a track that shows how fantastic trance can be with a slower groove and a magical atmosphere, one with summer written all over it. The track features some tribal influences and gorgeous vocals that lead us to an expressive breakdown with beautiful strings. The track keeps building up with a great chord progression and top-notch melodies. Led by a carefree summerish melody, The Mountain features a majestic experience with nature and proves that uplifting trance doesn’t necessarily have to be fast and aggressive. Starting with a groovy bassline and melodic plucks, it leads us to a big cinematic experience, where you can feel peace and harmony, the true essence of trance music. Alexandria captures the feeling of the desert, the sands, and the story of one of the most important cities of the old times. 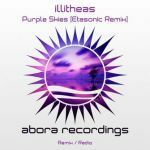 Starting with powerful basslines and atmospheric vocals, the track leads you to a massive and expressive breakdown with lush strings and chorus, and starts climbing with beautiful stereophonic melodic plucks and gorgeous pads. This track won the Future Favorite vote on Armin van Buuren’s A State of Trance. SoundLift decided to do a new mix for his 2010 tune, Revenge, and the result couldn’t be better! The feeling of the original mix is still present, but in this track you are transported to a new dimension of epicness with the amazing beats and a melody that really shows what Epic Trance is all about. Revenge 2012 features powerful basslines combined with gorgeous leads and pads, and the breakdown features some amazing vocals and gives you an epic cinematic feeling. This track also overwhelmingly won the Future Favorite vote on A State of Trance. As the title says, Last Goodbye is SoundLift’s last goodbye to the trance scene. It showcases SoundLift’s amazing composition skills and the use of diverse instruments to create a unique piece of art. Last Goodbye is probably one of the most uplifting tracks to date: it features a glorious and dramatic breakdown, and then builds up with energetic basslines and typical SoundLift-style plucks. Both Revenge 2012 and Alexandria won the Future Favorite award vote on Armin's A State of Trance and were included in the 2012 Yearmix. 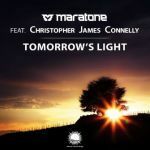 Supported by: Armin van Buuren and many more! This EP was made possible through the generous support of Mario the Aussie and Abhinav Shukla.